Zimbabwe is teetering on the verge of total collapse and could drag the whole Southern African region into unprecedented chaos if President Robert Mugabe and his ruling Zanu PF are not reined in soon, the main opposition MDC T led by former prime minister Morgan Tsvangirai has warned. Warming up to the idea of confronting Mugabe and Zanu PF head-on as suggested by liberation struggle stalwart Rugare Gumbo, the MDC T said yesterday that the longer the nonagenarian and his party remained in power, the worse things would turn for long-suffering Zimbabweans — many of whom live on less than a dollar a day. The main opposition’s comments came as Vice President Emmerson Mnangagwa revealed earlier in the week that Mugabe’s broke government did not have the money to source maize for millions of Zimbabweans who are staring hunger in the face, amid desperate calls for Western donors and the corporate world to fund the $300 million emergency project. At the same time, industrial contraction and company closures continue to throw hundreds of people on the ever growing jobless list every month, compounding the country’s dire and deepening poverty levels. MDC spokesman, Obert Gutu, said everything that could go wrong in Zimbabwe had since gone wrong and was destined to get worse with Mugabe and Zanu PF in power. “It is apparent that the Zanu PF regime is totally clueless regarding how to extricate the country from this debilitating economic mayhem and liquidity crunch. We are at the deep end. “Zimbabwe is crying out for an urgent economic and financial rescue package. The Zanu PF regime’s main challenge is lack of political legitimacy. This is a renegade and rogue administration that is completely and utterly incapable of rescuing the situation in the country. “Time is of the essence. The future of Zimbabwe is firmly in our hands. None but ourselves can set us free. There is a total failure of government and the centre can clearly no longer hold. “The MDC T calls upon all patriotic and peace-loving Zimbabweans to join hands in finding lasting and effective solutions to extricate our beloved motherland from the prevailing political and socio-economic quagmire,” Gutu said. 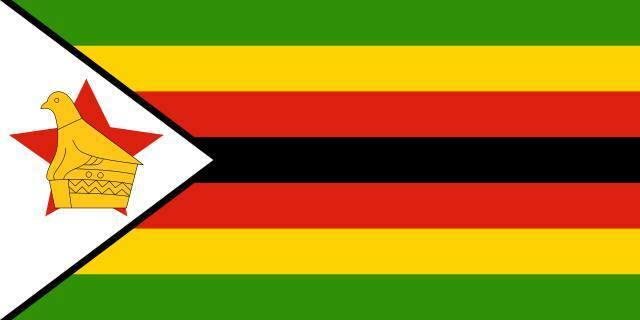 “Robert Mugabe and his rogue administration are bankrupt and are unable to harness adequate financial resources in order to import the maize that is now urgently required. The situation cannot be more desperate than what it is right now,” he added. Pointing to the brutal factional and succession wars devouring Zanu PF and that are worsening the plight of ordinary Zimbabweans, the MDC said ruling party bigwigs were callously ignoring bread and butter issues for their personal aggrandisement. “The country is on virtual auto-pilot as the nonagenarian Head of State continues with his endless, fruitless, purposeless and expensive foreign jamborees. It is high time that the renegade Zanu PF regime is called to order. “The streets of the country’s major cities, towns and growth points are teeming with thousands of desperate vendors who are struggling to eke out a living day in and day out. “There is virtually no meaningful domestic and foreign direct investment (FDI) that is flowing into Zimbabwe mainly because the Zanu PF regime has effectively lost control of the state apparatus,” Gutu added. As a result, the MDC’s call was that it was time the country was “put back in the spotlight” by regional and continental bodies. “It would be folly for these two organisations (Sadc and the African Union AU) to proceed as if there is no crippling crisis in Zimbabwe. “Robert Mugabe and his rogue Zanu PF regime should be confronted and told, in no uncertain terms, that the deteriorating political and economic situation in Zimbabwe is now a serious threat to both regional and continental security and stability,” Gutu warned. Liberation struggle stalwart and spokesperson of the “original” Zanu PF that uses the slogan “People First”, Rugare Gumbo, said on Tuesday that the only way positive change would take place in the country was if Zimbabweans agitated for this constitutionally but robustly from Mugabe and the ruling party — and not employ “empty boycott protests”. Speaking in an interview with the Daily News in the wake of the post-congress Zanu PF’s hollow victories in last week’s by-elections which were boycotted by the main opposition MDC, Gumbo said Zimbabweans needed to do more to foster democracy in the country. He also defended his Zanu PF formation’s “moral support” for a number of independent candidates who took part in the by-elections even as they were “always aware that our erstwhile comrades are grand masters in vote manipulation”. “That was a bogus and sham election full of irregularities and intimidation. The CIO (Central Intelligence Organisation), and post-congress Zanu PF party members were running the show. “Zec (the Zimbabwe Electoral Commission) failed to conduct a free and fair election. It allowed Zanu PF to supervise the whole process and what really happened was unbelievable — a lot of intimidation and a lot of violence. “This whole process must be overhauled. It is a rotten system which stinks to high heaven,” the straight-talking Gumbo said. Asked whether the main opposition was right in boycotting the elections, Gumbo said in his view staying away from electoral processes would not on its own give the “shameless post-congress Zanu PF any sleepless nights” — but would instead allow it to enjoy what it had always dreamt about, “the creation of a one-party state”. “Let us take them head-on. They want to push their programmes without any opposition. But what we have had are mere by-elections. When we go to national elections, it will be difficult for them to cheat as they did in these by-elections,” he said.